The Oasis Ava duvet cover set is a stunning bedding collection that brings spring/summer straight in to your bedroom. The beautiful floral design offers wonderful, bright colours on a crisp white backdrop, and the are butterflies that dance among the flowers bring a sense of vibrancy to the design. The duckegg reverse is a perfect compliment to the main design. 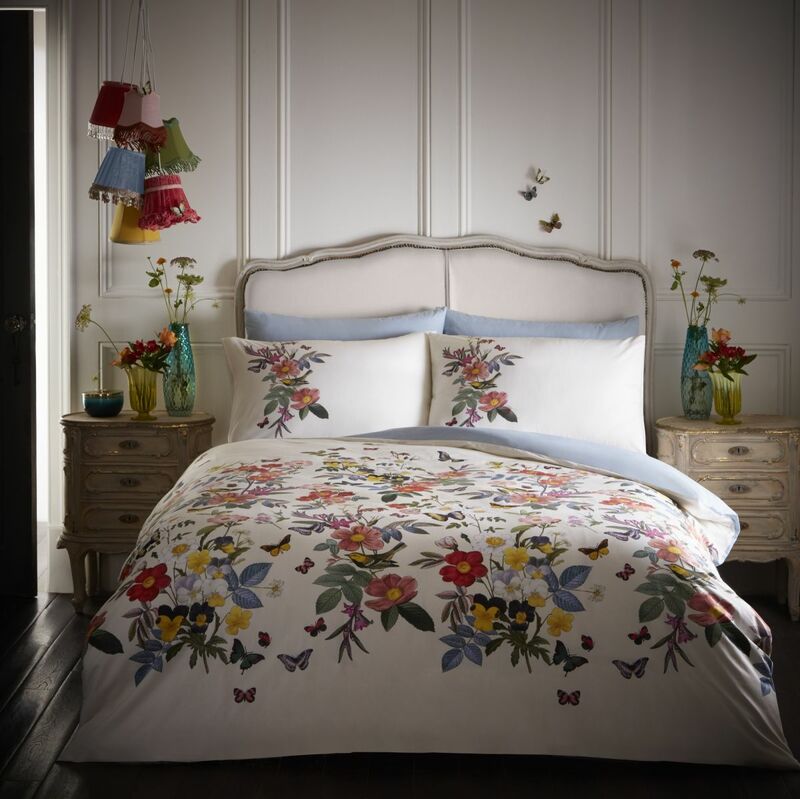 Made from 100% cotton and with a 180 thread count, the set is wonderfully soft and welcoming, and brings a real touch of luxury to your room.